Late March usually signifies the end of winter. The sun begins to peak out more often and the days are warmer and longer. The time also brings Major League Baseball back into the forefront of the minds of millions of Americans. Citizens of the United States are usually sitting back and daydreaming about the potential classic games between their favorite team and their rival. Many are already marking their calendars to watch games like the Boston Red Sox versus the New York Yankees; and the Philadelphia Phillies versus the St. Louis Cardinals. But this year, there is something else going on in San Francisco, CA. The beginning of the 2011 MLB season is bittersweet for San Francisco Giants fans. It marks the first time ever that the Giants are entering a season in San Francisco as the reigning World Series Champions. It also marks the potential tainting of the career of arguably the greatest player to ever step foot on a baseball field, Barry Bonds. Bonds did it all during his career. He won seven National League MVP awards: three with the Pittsburgh Pirates and four with the Giants. Bonds was a fourteen time All-Star, an eight time Gold Glove Award winner, won twelve Silver Slugger Awards, had a near .300 batting average, hit just under 3,000 hits, got 1,996 RBI’s, stole over 500 bases, and of course, is the all time home run king with 762 career home runs. But towards the end of his career, when the home runs came more often, so did the steroid accusations. Bonds was linked to BALCO labs in 2003 and was brought in front of a grand jury to testify about the lab and his association with it. 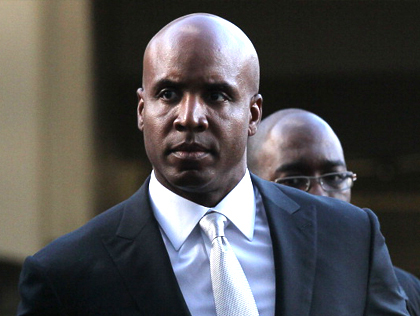 Bonds said that he never knowingly took performance-enhancing drugs. In 2007, he was charged with lying to the jury and now faces trial for perjury. After numerous delays, the trial started on March 21st. The prosecution is trying to prove that Bonds knowingly took steroids. They are trying to use evidence such as the testimony of a woman the former Giant had a relationship with. The woman, Kimberly Bell, is saying that over the years of alleged steroid use, Bonds’ testicles got smaller as a result of the drug use. There are also audiotapes of Bonds’ old trainer talking about cysts that come as a result of injecting. Despite the evidence against Bonds, the case at hand is not exactly easy for the prosecution. It is one thing to prove that Bonds used steroids. Even if that is proven, it is not likely to change his legacy. Many already believe he used steroids anyway. And in the era he played in, steroids were simply a way of the game for numerous players. The tough part will be proving that Bonds knowingly took the drugs. Even if it is proven he used steroids, there is always the reasonable doubt that he was not aware, as he may have simply just used supplements provided to him by trainers without inspecting him. Despite the high probability that he is in fact guilty, barring further evidence that suggests otherwise, there is still reasonable doubt that he may not have been completely aware of what he was taking.